Have you ever wished that whenever you get something to eat at a stand or a truck on the side of the road, you wouldn't need cash to pay for your purchase? Wouldn’t you love to just use your debit or credit cards to pay for that two-dollar frank or fifteen-dollar lobster roll? Well, gourmet food trucks are now allowing the use of debit and credit cards. They are now equipped with tablets and smartphones for credit card payments and email receipts to paying customers. Global transaction will increase from $241 billion in 2011 to $1 trillion in 2015. Gourmet trucks used to be a cash only operation but with the prices and the times changing, it was only a matter of time for the use of credit cards. Gourmet trucks are using Square and with that attachment, the business can then accept the payment. The other fact that works with the usage of credit cards is that the business can adjust the state taxes accordingly. Red Hook Lobster Pound Truck is one of the trucks that are utilizing this aspect of card transactions. This allows the trucks to travel through each state and adjust the taxes. 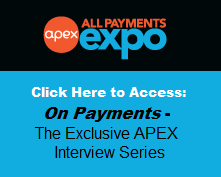 But one of the problems with accepting electronic payments is the wireless connection. The hope for trucks to combat the connectivity disadvantage is that carriers continue to improve 4G LTE networks. Even though NFC seems to have a bright future in the way people receive payments, there are downsides to it. A merchant must acquire NFC readers and consumers have to buy NFC-enabled phones. 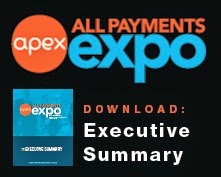 The efficiency of mobile payments is still improving but there is something there. Businesses can integrate their mobile-payment transactions with QuickBooks, which unifies bookkeeping. Of all the innovations that are moving from cash to plastic cards, who would've thought the last item that would be on the list would be a food truck? The food truck concept is already a great convenience for someone who does not want to pay a whole lot of money (unless you want lobster rolls) and keep on going. But now that some truck owners are going to use modern devices so that you can now use your cards it is even better. Adam Wells studies English at Pace University.